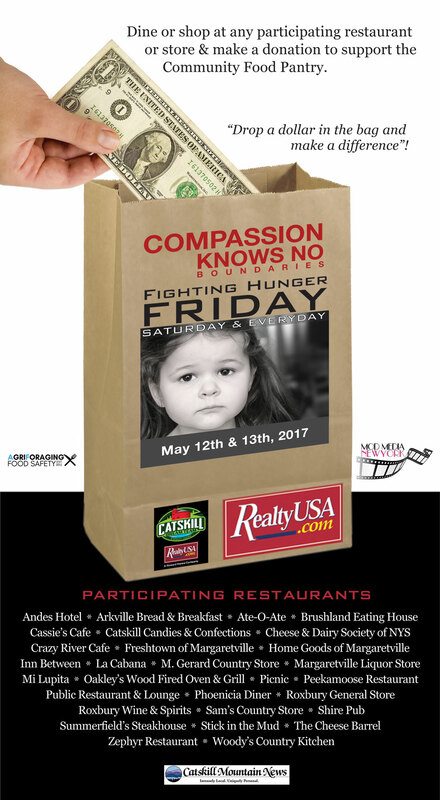 Partnering with Keller Williams Upstate Properties, The Catskill Dream Team, AgriForaging Food Safety, WIOX radio and Catskill Mountain News, local restaurants are doing their share to combat hunger in the Catskills. Come to eat and donate to The Community Food Pantry. 100% of every dollar raised goes to the cause.